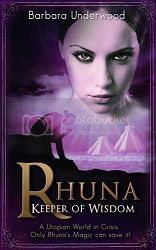 Let's welcome Heather James to Pure Jonel and find out a bit more about her and her debut novel Fire. I live on the edge of London in the UK and graduated from University last summer. I love reading, writing and talking about YA fiction. I’m also a huge fan of American Football and played flag-football while I was at Uni. When I’m not reading or writing, I’m often on Pinterest... ‘Fire’ is my debut novel and the first book in the ‘Elements of Power’ series. Q ~ What is your favorite thing to do (when you’re not writing or reading, of course)? Baking! I love baking cakes, biscuits - anything with lots of sugar or chocolate in it really! Q ~ If you could have breakfast with anyone, alive, dead, or fictional, who would it be and why, what meal would it be and why, and what would you eat? I’ve given this question a lot of thought. JK Rowling, Jace from TMI, and Belle from Beauty and the Beast were all contenders. I think I’m going to go with Victor Hugo though, since he created both one of my favourite characters of all time (Eponine) and also my least favourite (Marius), so I would have a lot to ask him about. Q ~ If you could vacation anywhere in the universe (real or fictional) where would you go and what would you take with you? My favourite place in the world is the Isles of Scilly. If I could go anywhere, that’s where I would pick, and I would spend my time sat on a window seat with a notepad and pen, looking out to sea and writing. Q ~ What books and/or authors have influenced you the most in your writing and in your life as a whole? JK Rowling’s Harry Potter series had a huge impact on my love of fantasy, magic and questioning teenagers role and importance within society. Q ~ How did you begin writing? Was there a single catalyst or multiple things? I’ve always written. The moment that really inspired me came in year 4 though, when my teacher likes a story plan that I wrote so much that she sent me to show it to one of the other teachers. It made me realise that writing was not only something that I loved, but something that I was pretty OK at too. Q ~ Do you have any advice for people who would like to begin writing professionally? Just to write as much as possible. Sites like Wattpad and Figment invaluable for getting honest feedback on your writing and also push you to experiment (particularly the competitions on Figment). Q ~ What is your writing routine? I don’t really have a routine; I just write whenever I have the time. I’m probably not as disciplined about it as I should be. Q ~ While working on your novel did you write from an outline/plan? Do you plan to take the same approach for further novels? When I first started writing Fire, I had no overall plan; just characters and ideas. I would plan a few chapters ahead as I went. For the first draft of ‘Water’ I was more prepared and wrote a really detailed plan so that I knew exactly what was happening and when. I wrote a first draft of ‘Air’ for NaNoWriMo, so didn’t get the time to be so organised. I did have quite a thorough idea of what needed to happen and where I wanted the story to go though. I came up with a lot of the minor plot points as I went along. For my next project, I plan on going back to the technique I used for Water and spending a lot of time planning it out first! Q~ What inspired you to write Fire? Fire started with a description of a girl waiting on a beach. Everything else flowed from there. This idea later became the beginning of chapter 2. Q ~ What was your goal when you first began to write it? To finish it. I had started many stories before, but got frustrated or bored with the idea part way through and gave up. With Fire, I was determined to write a complete novel; I knew that it was a good idea and that the story was worth telling. Q ~ What were the biggest challenges bringing Fire to life? Balancing the storyline between the two protagonists, so that everything flowed. I didn’t want the narrative to appear one sided. Deciding whether to keep persevering with agent inquiries or to just self-publish was also a big decision to make. I really wanted the expertise of a professional publishing house to help me make Fire as perfect as possible, but I also wanted to get the book out there, rather than sitting on the manuscript indefinitely. Q ~ Do you see yourself in any characters in the book? How about friends and loved ones, do they make an appearance as well? I think that some of Jasmine’s self-doubt is probably reminiscent of me, but overall, both girls are very different to me. I wish that I had some of Roxy’s strength and confidence though. Q ~ What can we expect next, after Fire? I am hoping to have ‘Water’ ready for publication within 6 months. Then I can focus on ‘Air’ after that. Let's find out some more about Fire! 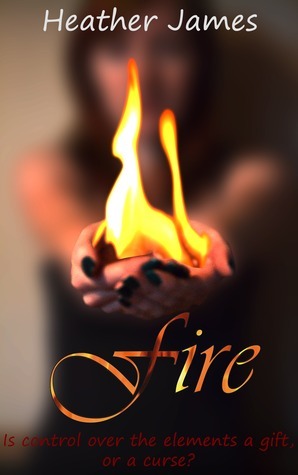 Check out my review of Fire by Heather James. And now for the fun part! Enter below to win 1 of 5 digital copies of Fire from Smashwords! If I could control the elements, I'd have a hockey rink in my back yard all year 'round. Because I haven't had a background rink for almost 30 years since I moved to the Tampa Bay area!! Looking forward to reading Fire! Would like to control the weather to what mood I was in. Can't wait to read this series! It sounds great! Wow. Hmm. I know my kids would want me to make it snow if they didn't feel like going to school! Unfortunately, I can't use that excuse for work. I would always make sure it's sunny during my vacations, that's for dang sure. If I could control elements, I would definitely save money on my bills. LOL and have fun with it.